I was back in Tallaght Hospital today [20 October 2016] for another series of tests on my lungs on the recommendation of my GP, who was concerned about a recent flare-up in the symptoms of my sarcoidosis. Tallaght Hospital opened on 21 June 1998 when 115 patients were transferred to Tallaght from three inner city hospitals in Dublin, the Adelaide, the Meath and National Children’s Hospitals in Dublin’s city centre. The move happened after months of planning and detailed logistics. It was a carefully-planned and extremely smooth-running operation, and from 23 June 1998, new patients were admitted to the Hospital and clinical activity built up steadily. The hospital was established 20 years ago when a charter was agreed in Dail Eireann on 1 August 1996. Today, Tallaght is one of Ireland’s largest acute teaching hospitals, and is funded by the Health Service Executive. It cares for children, adults and older people, has 562 beds, 12 theatres, and 14 critical care beds. Tallaght Hospital stands on a 35-acre site and provides child-health, adult, psychiatric and age-related healthcare on one site. The hospital treats over 410,000 patients per year and employs almost 3,000 staff. The Hospital provides access for patients to over 20 medical and surgical specialties, with comprehensive on-site laboratory and radiology support services. It is also a national urology centre, the second largest provider of dialysis services in Ireland and a regional orthopaedic trauma centre. Moving the hospital to Tallaght was a unique challenge to bring together three hospitals with very different traditions: the Adelaide Hospital, the Meath Hospital and the National Children’s Hospital (Harcourt Street). Throughout the ground floor at Tallaght, there are exhibits and memorabilia recalling the the traditions of these three hospitals that share over 600 years of medical and nursing care and education. The Meath Hospital is the oldest of the three hospitals. It was founded in 1753, making it the oldest voluntary hospital and the oldest university teaching hospital in Ireland. At its founding, the hospital was located in the ‘Liberty’ of the Earl of Meath, and it was opened to serve the sick and poor in the crowded Liberties in Dublin. In the 19th century, the Meath Hospital achieved an international reputation because of its revolutionary teaching methods and ground-breaking research out by Dr Robert James Graves (1796–1853) and Dr William Stokes (1804-1878), physicians of note at the hospital. Willam Stokes, a student of Graves who became his collaborator, was a pioneering cardiologist who wrote the first published account in English of the use of the stethoscope. Sir Philip Crampton (1777–1858) was first appointed surgeon to the hospital in 1798, although he was not fully qualified. He was instrumental in establishing the system of bedside teaching of medicine, for which Dublin became famous in the 19th century. Thomas Hawkesworth Ledwich (1823–1858) took over from Crampton in 1858. Other notable physicians and surgeons at the Meath Hospital include Dr John Cheyne (1777–1836), who began work in the hospital in 1811. Patrick Harkan of Raheen, Co Roscommon, was appointed in 1817. He later went on to the Cork Street Fever Hospital, where he remained for 40 years. Francis Rynd (1801-1861) invented the hypodermic syringe. Rawdon Macnamara (1822–1893) became surgeon in 1861, a post also held by his father. More recently, the hospital developed specialised services in the fields of urology, psychiatry, orthopaedics, haematology, endocrinology and nephrology. The hospital was incorporated in 1998 into Tallaght Hospital and moved to Tallaght, although the original building continues to serve as a respite home. The National Children’s Hospital was founded in 1821 by eminent Dublin doctors who were concerned with the lack of treatment available for sick children in the city. It was the first hospital devoted exclusively to the care and treatment of sick children in Ireland and Britain. Indeed, one of the hospitals’ early students, Dr Charles West, returned to London and founded Great Ormond Street Hospital in 1852. The Adelaide Hospital was founded in 1839 by Dr Albert Jasper Walsh (1815–1880) when he was just 26 years old. It was named after Queen Adelaide, the wife of King William IV, and was founded primarily to serve the disadvantaged Protestant population of inner-city Dublin. Like the Meath Hospital and the National Children’s Hospital, the Adelaide Hospital was run on a voluntary basis, and its survival dependent on the generosity of others and the dedication of its staff. The Adelaide was famous for its nursing school, which was founded in 1859 by Miss Bramwell. She had worked with Florence Nightingale in the Crimean War. The Adelaide has been at the forefront of many medical advances. It was, for example, the first general hospital in Dublin to introduce a skin clinic, in 1868, a gynaecological unit, in 1868, and the bacteriological control of milk, in 1904. The well-known John T Kirby and Maurice Colles were honorary surgeons. The first premises was at 43 Bride Street and it continued there until 1846. It then closed for a time and after refunding re-opened in Peter Street in 1858, close to two existing schools of medicine. One of these, the Ledwich School, was incorporated into the hospital in 1894. Among the notable physicians who have been associated with the Adelaide Hospital, Dr James Little (1837–1916) was President of the Royal College of Physicians of Ireland (1886-1888) and Regius Professor of Physic in Trinity College Dublin (1898-1916). He was physician to the hospital for 46 years until shortly before his death. Sir Henry Swanzy (1843–1913) was a distinguished eye specialist and ophthalmic surgeon to the hospital. Dr Richard Dancer Purefoy (1847–1919), President of the Royal College of Surgeons in Ireland and one of the leading obstetricians and gynaecologists in Ireland, was Obstetrical Surgeon in the hospital for 21 years. Dr Ella Webb (1877–1946), who appointed anaesthetist in 1918, was the first female member of the staff, and she immediately established a dispensary for sick children in the hospital. She became an MD in 1925 and then worked with Dr Kathleen Lynn in Saint Ultan’s Hospital which was founded by Dr Lynn, a key figure in the 1916 Rising. Later, Dr William Alexander Gillespie (1912–2003) started his career as house officer in the hospital and returned as a consultant in 1977. He had an international reputation in the field of hospital infections. The Adelaide Hospital was a general teaching hospital for many years and to the forefront in medical advances. Its charter, which dates from 1920, was one of the last royal charters granted in Ireland. When the Irish Hospitals’ Sweepstake was set up in 1930 to finance hospitals, the Adelaide was the only hospital at the time not to accept money from the Hospitals’ Trust because the governors disapproved of gambling and sweepstakes. The Adelaide Hospital remained a general and teaching hospital until it became part of the new Tallaght Hospital in 1998. The former hospital building in Peter Street has since been converted into apartments. The long and proud histories of the Adelaide, the Meath and the NCH in providing specialist services to patients in Dublin continue today in Tallaght Hospital. It is one of two main teaching hospitals of Trinity College Dublin, specialising in the training and professional development of staff in areas such as nursing, health and social care professionals, emergency medicine and surgery, among many others. The Trinity Health Ireland (THI) collaborative agreement underpins Tallaght Hospital’s valued relationships with Trinity College Dublin (TCD), Saint James’s Hospital, and the Coombe Women and Infants University Hospital. I left Tallaght Hospital with thankful memories of these three pioneering hospitals and their traditions, and confident that while I have sarcoidosis, sarcoidosis will never have me. Liturgy 4: 20 October 2016. Liturgy 4.2: Traditions of prayer (1) seminar, readings on Benedictine and Franciscan prayer. Columba Stewart, Prayer and Community: The Benedictine Tradition (London: Darton, Longman and Todd, 1998), pp 31-52. Joan Chittister, The Rule of Benedict: A Spirituality for the 21st Century (2nd edition, New York: Cross Road, 2010): Chapter 16, ‘The Celebration of Divine Office During the Day’ (pp 119-121); Chapter 20, ‘Reverence in Prayer’ (pp 132-133). Brother Ramon, Franciscan Spirituality, Following Saint Francis Today (London: SPCK, 1994), pp 111-125. Earlier this month [4 October 2016], Saint Francis of Assisi was commemorated in the Calendar of many provinces of the Anglican Communion (e.g., see Common Worship, p 14; The Book of Common Prayer (TEC), p 28). Next, in the ‘Spirituality’ hour in the chapel on 21 November 2016, I am looking at Benedictine Spirituality, and how it has influenced Anglican Spirituality. This morning, we are looking at Benedictine and Franciscan Spirituality and Prayer, and these are to accompany the presentations during the seminar. Four years ago , during the summer break, I spent some weeks at Ealing Abbey in London, studying Liturgy and Liturgical Latin at the Benedictine Study and Arts Centre, and was invited each day to join the monks in the choir for the daily offices. As I recalled last Monday, when we were discussing ‘Spirituality and Sport,’ there was an old cutting from the Daily Telegraph on the desk in my room in Ealing Abbey that says the Benedictine tradition is so rooted in English life and culture that: ‘Some claim to see the Benedictine spirit in the rules of Cricket.’ But in Ealing Abbey, I was more conscious of how the daily offices in the Anglican tradition – Morning Prayer, Evening Prayer, Vespers, Compline and so on – draw on the riches of the Benedictine tradition. 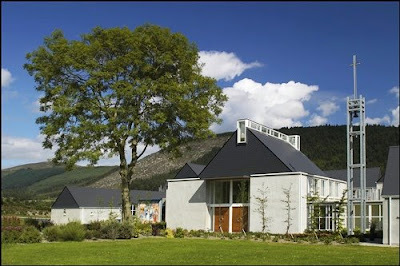 Some of you may soon find yourselves on retreat in either Glenstal Abbey, Co Limerick, or Holy Cross Monastery in Rostrevor, Co Down, two Benedictine houses that are among the preferred centres for the Church of Ireland for pre-ordination retreats. So, an introduction to Benedictine spirituality and prayer life may be an important contextualisation for some of you in advance of your pre-ordination retreats. But it is even more important as an introduction to one of the formative influences on Anglican spirituality. Indeed, it could be said that Anglican spirituality has its roots in the Benedictine spirituality, an approach to life and prayer that arose from the monastic community of Saint Benedict in the sixth century. At the beginning of his academic career, Cranmer was a reader or lecturer at Buckingham College, a hostel for Benedictine monks studying in Cambridge that later became Magdalene College. It could be said that the Anglican Reformation took the essentials of Benedictine spirituality and prayer life and made them immediately accessible through The Book of Common Prayer, which gives the Anglican Reformation a clearly Benedictine spirit and flavour. The basic principles that shape The Book of Common Prayer are Benedictine in spirit. For example, the spirituality of the Rule of Saint Benedict is built on three key elements that form the substance of The Book of Common Prayer: the community Eucharist; the divine office; and personal prayer with biblical, patristic and liturgical strands woven together. The Anglican Benedictine monk and theologian, Dom Bede Thomas Mudge, believed the Benedictine spirit is at the root of the Anglican way of prayer in a very pronounced way. 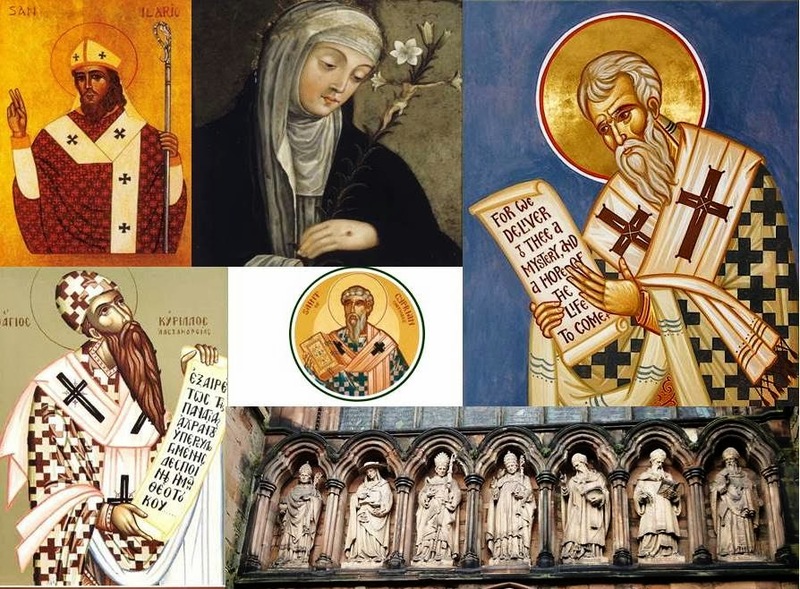 The example and influence of the Benedictine monastery, with its rhythm of the daily office and the Eucharist; the tradition of learning and lectio divina; and the family relationship among an Abbot and his community, have influenced the pattern of Anglican spirituality. In a unique way, The Book of Common Prayer continues the basic monastic pattern of the Eucharist and the divine office as the principal public forms of worship. On a regular basis, through the day, in the office and in their spiritual life, Benedictines pray the psalms. The church historian Peter Anson believed that Archbishop Thomas Cranmer’s great work of genius was in condensing the traditional Benedictine scheme of hours into the two offices of Matins and Evensong. In this way, Anglicanism is a kind of generalised monastic community, with The Book of Common Prayer preserving the foundations of monastic prayer. As a monastic form of prayer, The Book of Common Prayer retains the framework of choral worship but simplified so that ordinary people in the village and the town, in the parish, can share in the daily office and the daily psalms. In recent years, three of the most interesting commentaries of the rule of Saint Benedict have been written by leading Anglican writers: Esther de Waal, a well-known writer and lecturer on theology, spirituality and Church History and the wife of a former Dean of Canterbury; Elizabeth Canham, one of the first women ordained priest in the Episcopal Church (TEC), and who lived for almost six years in a Benedictine monastery; and Canon Andrew Clitherow, Director of Training in the Diocese of Blackburn. Dom Gregory Dix (1901-1952) was a priest-monk of Nashdom Abbey, an Anglican Benedictine community. As a liturgical scholar, his work has had an immeasurable influence on the direction of changes to Anglican liturgy in the mid-20th century. In the Church of England, there are 13 cathedrals with a Benedictine foundation and tradition: Canterbury, Chester, Coventry, Durham, Ely, Gloucester, Norwich, Peterborough, Rochester, Saint Alban, Winchester, Worcester and York Minster – 15 if we include Bath Abbey and Westminster Abbey. Throughout the Anglican Communion, there are Benedictine communities in Australia, Canada, England, Ghana, South Africa, South Korea, Swaziland and the US. 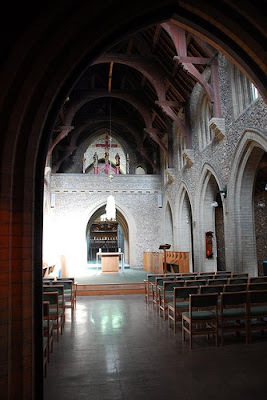 In the Church of England, they include: Alton Abbey, Hampshire; Edgware Abbey, London; Saint Benedict’s Priory, Salisbury, Wiltshire, founded at Pershore in 1914, moved to Nashdom Abbey in 1926, to Elmore Abbey, near Newbury, in 1987, and to Salisbury in 2011; Holy Cross Convent, Costock, Leicestershire; Mucknell Abbey, near Worcester (formerly the community at Burford Priory, near Oxford); Saint Hilda’s Priory, Whitby; Saint Mary’s Abbey, Malling, Kent; and Saint Peter’s Convent, Horbury, Wakefield. The Cistercian Monastery at Ewell closed in 2004, and the Anglican Cistercians are now a dispersed community. 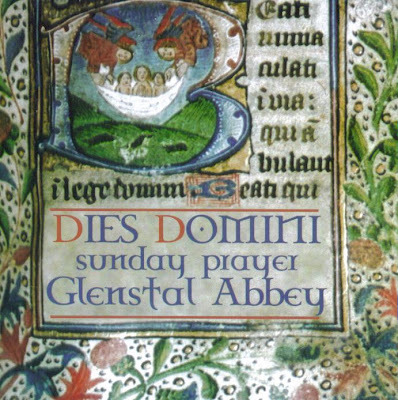 Benedictine prayer became more accessible in popular culture in 2005 when the BBC screened the television series, The Monastery, in which the then Abbot of Worth Abbey, Abbot Christopher Jamison, guided five modern men (and three million viewers) into a new approach to life at Worth Abbey in Sussex. Since then, Dom Christopher’s best-selling books following the popular series, Finding Sanctuary (2007) and Finding Happiness (2008) offer readers similar opportunities. He points out that no matter how hard we work, being too busy is not inevitable. Silence and contemplation are not just for monks and nuns, they are natural parts of life. Yet, to keep hold of this truth in the rush of modern living we need the support of other people and sensible advice from wise guides. By learning to listen in new ways, people’s lives can change and Dom Christopher offers some monastic steps that help this transition to a more spiritual life. Saint Benedict of Nursia wrote the first official western manual for praying the Hours in the year 525. Benedictine spirituality approaches life through an ordering by daily prayer that is biblical and reflective, and Benedictine spirituality is grounded in an approach to spiritual life that values ‘Stability, Obedience, and Conversion of Life.’ The major themes in the Rule are community, prayer, hospitality, study, work, humility, stability, peace and listening. Saint Benedict’s approach is refreshingly simple and uncomplicated. For him, the key that opens the door to prayer is the quality of a Christian’s life, and the whole existence of a Christian is to seek to imitate Christ in fulfilling the will of his Father. Apart from the scripture readings that are heard in the liturgy, Saint Benedict sets aside from two to three hours a day for lectio divina. As [Dr] Katie [Heffelfinger] explained in the Spirituality hour in chapel earlier this month [3 October 2016], lectio divina is not an intellectual pursuit of knowledge and information but a way to let the word of God penetrate the heart and the whole person, so that we listen and open our hearts to God who speaks to us in his word. Saint Benedict begins his Rule with the word listen, ausculta: ‘Listen carefully, child of God, to the guidance of your teacher. Attend to the message you hear and make sure it pierces your heart, so that you may accept it in willing freedom and fulfil by the way you live the directions that come from your loving Father’ (Rule of Saint Benedict, Prologue 1, translated by Patrick Barry). His advice is as short and succinct a directive on how to prepare to pray as I can find. The Benedictine motto is Ora et Labora. This does not present prayer and work as two distinct things, but holds prayer and work together. The chapel becomes the place for the Work of God (Opus Dei), but the work of God does not end at the chapel door. God continues to work where we work. The monastic cell is the place of solitude, but this is not a refuge from the common life. There must be time and place for both, a unity of the inner life and the outer life. For Saint Benedict, the spiritual life and the physical life are inseparable. As he says: Orare est laborare, laborare est orare, to pray is to work, to work is to pray. Benedictine spirituality teaches us that prayer is not a matter of mood. To pray only when we feel like it, is more to seek consolation than to risk conversion. To pray only when it suits us, is to want God on our terms. To pray only when it is convenient, is to make the God-life a very low priority in a list of better opportunities. To pray only when it feels good, is to court total emptiness when we most need to be filled. Prayer is not about making God some kind of private getaway from life. Prayer is meant to call us back to a consciousness of God here and now. And so, prayer in the Benedictine tradition is a community act and an act of community awareness. And out of those qualities, a whole new life emerges and people are changed. For example, prayer that is regular confounds both self-importance and the wiles of the world. Saint Benedict called for prayer at regular intervals of each day, right in the middle of apparently urgent and important work. His message was unequivocal. ‘Pray always,’ Scripture says. ‘Nothing should be accounted more important than the Work of God,’ the Rule of Benedict says (Rule of Benedict 43: 3, in Kelly et al). ‘Impossible,’ most people will say. But if we train our souls to remain tied to a consciousness of God, as the Rule of Benedict directs, even when other things appear to have greater value or more immediate claims on our time, then consciousness of God becomes a given. And consciousness of God is perpetual prayer. To pray in the midst of the mundane is to assert that this dull and tiring day is holy and its simple labours are the stuff of God’s saving presence for me now. To pray simply because it is prayer time is no small act of immersion in the God who is willing to wait for us to be conscious, to be ready, to be willing to become new in life. In daily life, though, there will always be something more pressing to do than to pray. And when that attitude takes over, we will soon discover that without prayer the energy for the rest of life runs down. When we think we are too tired and too busy to pray, we should remind ourselves then that we are too tired and too busy not to pray. To pray when we cannot pray is to let God be our prayer. The spirituality of regularity requires us to turn over our broken and distracted selves to the possibility of conversion in memory and in hope, in good times and in bad, day, after day, after day. Benedictine prayer is based almost totally in the Psalms and in the Scriptures. ‘Let us set out on this way,’ the Rule says, ‘with the Gospel as our guide’ (Prologue: 9). And so, Benedictine prayer is not centred in the needs and wants and insights of the individual who is praying. Instead, it is anchored in the needs and wants and insights of the entire universe. Benedictine prayer takes me out of myself so that I can be my best self. Benedictine prayer life, besides being scriptural and regular, is reflective. It is designed to make us take our own lives into account in the light of the Gospel. It is not recitation for its own sake. It is bringing the mind of Christ to bear on the fragments of our own lives. It takes time and it does not depend on quantity for its value. This is a prayer life that involves a commitment to regularity, reflection, and a sense of the universal. The function of prayer is not to change the mind of God about the decisions we have already made for ourselves. The function of prayer is to change my own mind, to put on the mind of Christ, to enable grace to break into me. Esther de Waal puts it this way: ‘Prayer lies at the heart of Benedictine life; it holds everything together; it sustains every other activity. It is at the same time root and fruit, foundation and fulfilment’ (Esther de Waal, Seeking God, p 145). Finally, Benedictine prayer is communal. Benedictine prayer is prayer with a community and for a community and as a community. It is commitment to a pilgrim people whose insights grow with time and whose needs are common to us all. It is surprising that in his Rule Saint Benedict does not have one method of personal prayer. Although there are many instructions on the Divine Office or Opus Dei and the Liturgy of the Hours, he has little to say about personal prayer. He did not establish set times for personal prayer, nor did he give detailed instructions on how to pray. Instead, he gave instructions on how to live. This distinction between liturgical prayer and private prayer, which is familiar to modern spirituality, was unknown to the early monks. Apart from one short reference to prayer outside the office, Chapter 20 of the Rule is concerned with the silent prayer that is a response to the psalm. Listening to the word of God was a necessary prelude to every prayer, and prayer was the natural response to every psalm. Community prayer in the Benedictine tradition is a constant reminder that we do not go to Church for ourselves alone. To say, ‘I have a good prayer life, I don’t need to go to Church,’ or to say ‘I don’t get anything out of prayer’ is to admit our own poverty at either the communal or the personal level. Community prayer binds us to one another and broadens our vision of the needs of the world. The praying community becomes the vehicle for my own faithfulness. Private prayer, Benedict says, may follow communal prayer, but it can never substitute for it. Prayer, in fact, forms the community mind. 1, Prayer must be scriptural, not simply personal. I am to converse with God in the Word daily – not simply attended to at times of emotional spasm – until little by little the Gospel begins to work in me. 2, I need to set aside and keep time for prayer. It may be before breakfast in the morning; after the children go to school; in the car on the way to work; on the bus coming home; at night before going to bed. But I need to set aside that time for prayer and to keep it. 3, Reflection on the Scriptures is basic to growth in prayer and to personal growth. Prayer is a process of coming to be something new, and is never simply a series of exercises. 4, Understanding is essential to the act of prayer. Formulas are not enough. 5, Changes in attitudes and behaviours are a direct outcome of prayer. Anything else amounts to something more like therapeutic massage than confrontation with God. 6, A sense of community is both foundational for and the culmination of prayer. I pray to become a better human being, not to become better at praying. Earlier this month [4 October], the feast of Saint Francis of Assisi was marked in the calendar of many parts of the Anglican Communion (e.g., see Common Worship, p. 14). To give an appropriate Anglican contextual setting to discussing Franciscan spirituality, let me point out that there are at least six families of Franciscan religious communities within the Anglican Communion. They include the Society of Saint Francis, which has 11 houses, priories, friaries or convent in England, and other priories or houses in Australia, Brazil, New Zealand, Papua New Guinea, the Solomon Islands and the US (New York, California); the Community of Saint Clare, near Witney, Oxfordshire; the Community of Saint Francis, Birmingham; the Sisters of Saint Francis in Korea; and the Third Order of Saint Francis, which is found throughout the Anglican Communion. Some of you already know Brother David Jardine in Belfast, who is a canon of Saint Anne’s Cathedral, and who is a Franciscan friar, and there is a Franciscan Third Order within the Church of Ireland. A foundational story in Franciscan spirituality tells how on a summer day in 1206, Saint Francis of Assisi was walking close to the crumbling church of San Damiano when he felt an inner call from the Holy Spirit to go inside the church to pray. In obedience, Francis entered the church, fell on his knees before what is now a familiar icon cross, and opened himself to what the God might have to say to him. Ever more quietly he repeated the prayer, lost in devotion and wonder before the image of his crucified Lord. As the tradition of religious communities was being explored once again, rediscovered, revived and rebuilt in the Anglican Communion in response to the Anglo-Catholic revival in the 19th century, many of those involved turned for inspiration to the Franciscan tradition. The gentle approach to obedience in the Franciscan tradition has been described as a ‘middle way’ in the monastic tradition, and so the Franciscan tradition has an immediate appeal to Anglicans of the Via Media. The Daily Office, which is the office book of the Society of Saint Francis, was among the first to be fully updated with the Common Worship Lectionary, and so came into use throughout the wider Anglican Communion. But it has also provided the model for the offices of Morning Prayer and Evening Prayer in Common Worship. Francis and Franciscan values also have a relevance to the wider, international and global community. This is a world that has never been more in need of those Franciscan values of Peace, Poverty, and respect for the environment. The Church exists to call the world into it not so much that the world may become the church, less so that the church may become the world, but that through the Church the world may enter into the Kingdom of God. In the age of a nuclear overkill, climate change and global poverty, Francis and his rule for his community, first shaped over 800 years ago in 1209, continue to call us back again to the true values of Christian community and lifestyle. Through the power of the Holy Spirit of Jesus Christ, Our Lord. Amen. Anglican Religious Life 2016-17 (London: Norwich Canterbury Press, 2015). Patrick Barry, Richard Yeo, Kathleen Norris, et al, Wisdom from the Monastery: The Rule of St Benedict for everyday life (Norwich: Canterbury Press, 2005). Gordon Beattie, Gregory’s Angels (Leominster: Gracewing Fowler Wright for Ampleforth Abbey, 1997). Benedictine Yearbook 2012, ed William Wright (Warrington: EBC). Elizabeth Canham, Heart Wisdom: Benedictine Wisdom for Today (Guildford: Eagle Publishing, 2001). Joan D Chittister, Benedictine Prayer: a larger vision of life: living the rule of Saint Benedict today (San Francisco and New York: Harper, 1991). Joan D Chittister, The Rule of Benedict: a spirituality for the 21st century (New York: Crossroad, 2010 ed). Joan Chittister, The Monastery of the Heart, an invitation to a meaningful life (London: SPCK, 2011). Andrew Clitherow, Desire, Love and the Rule of St Benedict (London: SPCK, 2008). Esther de Waal, Seeking God, The Way of St. Benedict (London: Fount, 1984). Mary Forman OSB, ‘Prayer,’ in Patrick Barry et al, Wisdom from the Monastery: The Rule of St Benedict for everyday life (Norwich: Canterbury Press, 2005). franciscan, three times a year from Hilfield Friary. (Abbot) Christopher Jamison, Finding Sanctuary – Monastic steps for everyday life (London: Weidenfeld & Nicolson, 2006). (Abbot) Christopher Jamison, Finding Happiness – Monastic steps for a fulfilling life (London: Weidenfeld & Nicolson, 2008). Nikos Kazantzakis, Saint Francis (Oxford: Bruno Cassiver, 1962). Alister E. McGrath, Christian Spirituality (Oxford: Blackwell, 1999). Brother Ramon, Franciscan Spirituality (London: SPCK, 1994), pp 111-125. Nicolas Stebbing CR (ed), Anglican Religious Life: A well-kept secret? (Dublin: Dominican Publications, 2003). Columba Stewart, Prayer and Community: The Benedictine Tradition (London: Darton, Longman and Todd, 1998). Saint Benedict’s Priory, Salisbury, Wiltshire. Holy Cross Convent, Costock, Leicestershire. Saint Mary’s Abbey, Malling, Kent. Franciscan religious communities within the Anglican Communion. More information on the TV series The Monastery. 13 Τότε παραγίνεται ὁ Ἰησοῦς ἀπὸ τῆς Γαλιλαίας ἐπὶ τὸν Ἰορδάνην πρὸς τὸν Ἰωάννην τοῦ βαπτισθῆναι ὑπ' αὐτοῦ. 14 ὁ δὲ Ἰωάννης διεκώλυεν αὐτὸν λέγων, Ἐγὼ χρείαν ἔχω ὑπὸ σοῦ βαπτισθῆναι, καὶ σὺ ἔρχῃ πρός με; 15 ἀποκριθεὶς δὲ ὁ Ἰησοῦς εἶπεν πρὸς αὐτόν, Ἄφες ἄρτι, οὕτως γὰρ πρέπον ἐστὶν ἡμῖν πληρῶσαι πᾶσαν δικαιοσύνην. τότε ἀφίησιν αὐτόν. 16 βαπτισθεὶς δὲ ὁ Ἰησοῦς εὐθὺς ἀνέβη ἀπὸ τοῦ ὕδατος: καὶ ἰδοὺ ἠνεῴχθησαν [αὐτῷ] οἱ οὐρανοί, καὶ εἶδεν [τὸ] πνεῦμα [τοῦ] θεοῦ καταβαῖνον ὡσεὶ περιστερὰν [καὶ] ἐρχόμενον ἐπ' αὐτόν: 17 καὶ ἰδοὺ φωνὴ ἐκ τῶν οὐρανῶν λέγουσα, Οὗτός ἐστιν ὁ υἱός μου ὁ ἀγαπητός, ἐν ᾧ εὐδόκησα. The story of the Baptism of Christ is the first revelation of the Trinity to the creation and is like the story of a new creation. All the elements of the creation story in the Book Genesis are here: we know we are moving from darkness into light; the shape of the earth moves from wilderness to beauty as we are given a description of the landscape; there is a separation of the waters of the new creation as Jesus and John go down in the waters of the Jordan and rise up from them again; and as in Genesis, the Holy Spirit hovers over the waters of this beautiful new creation like a dove. Or as Saint Mark says: And a voice came from heaven, “You are my Son, the Beloved; with you I am well pleased” (Mark 1: 11). God is pleased with the whole of creation, God so loved this creation, κόσμος (cosmos), that Christ has come into it, identified with us in the flesh, and is giving us the gift and the blessings of the Holy Spirit. (Revd Canon Professor) Patrick Comerford is Lecturer in Anglicanism, Liturgy and Church History, the Church of Ireland Theological Institute. This Bible study was part of a lecture/seminar on 20 October 2016 as part of the MTh module TH 8824: Liturgy, Worship and Spirituality with full-time MTh students, Years II. (Revd Canon Professor) Patrick Comerford is Lecturer in Anglicanism, Liturgy and Church History, the Church of Ireland Theological Institute. This Bible study was part of a lecture/seminar on 20 October 2016 as part of the MTh module TH 8824: Liturgy, Worship and Spirituality with full-time MTh students, Year II. 9 a.m., The Hartin Room. 4.2: Traditions of prayer (1): seminar readings on Benedictine and Franciscan prayer. In Holy Communion 2 (Great Thanksgiving, Prayer 1), the preface states we pray not on our own but with the whole Church, visible and invisible: ‘And so with all your people, with angels and archangels, and with all the company of heaven …’ [The Book of Common Prayer (2004), p 209]. And that prayer goes on to ask ‘that we may be made one in your holy Church’ [The Book of Common Prayer (2004), p 211]. Or, in Prayer 2, we pray: ‘… bring us with all your people into the joy of your eternal kingdom’ [The Book of Common Prayer (2004), p 215]. Similarly, in Prayer 3, we state: ‘with your whole Church throughout the world we offer you this sacrifice of thanks and praise …’ [The Book of Common Prayer (2004), p 217]. This morning, I first want us to consider the Trinitarian foundations and underpinnings of the liturgical worship of Church, and to relate that in an incarnational way to the celebration of God’s creation and the anticipation of the fulfilment of God’s plans for creation. 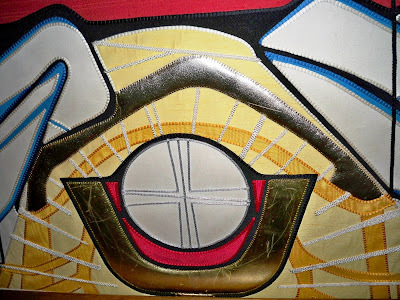 In looking at the Creation, the Trinity and theologies of worship and prayer, I shall draw particularly on the Eucharist (the Holy Communion, the Lord’s Prayer). The Book of Common Prayer (2004) speaks of the Eucharist as ‘the central act of worship of the Church.’ [The Book of Common Prayer (2004), p 75]. ‘Because this is the case,’ Bishop Harold Miller says, ‘we will find that the Holy Communion Service gives us a window in to all that is most vital in our regular worship.’ [Harold Miller, The Desire of Our Soul (Dublin: Columba Press, 2004), p 115.] But I hope from this that we can move on to interpret what we do as the Church in our other forms of public prayer. Saint John’s Gospel in particular provides a great deal of material for the Fathers of the Church to indicate the intimate link between the Eucharist and the Trinity. His Western contemporary, Saint Hilary of Poitiers (ca 300-368), in his De Trinitate, written to counter the Arians, speaks of the Eucharist as the bond of unity between God and us. He begins by citing Christ’s words: ‘Those who eat my flesh and drink my blood abide in me, and I in them’ (John 6: 56). He then summarises this, saying that when we receive the Eucharist, ‘we are in Christ and Christ is in us,’ and by being united to Christ, who is the second person of the Trinity, we are united to the Trinity, including the Father and the Holy Spirit. Saint Cyril of Alexandria (died 444) is one of the great patristic teachers on the Eucharist. Quoting John 6: 35 (‘I am the bread of life. Whoever comes to me will never be hungry, and whoever believes in me will never be thirsty’), he links our participation in the Eucharist with receiving the Holy Spirit, and participating in God’s own nature. 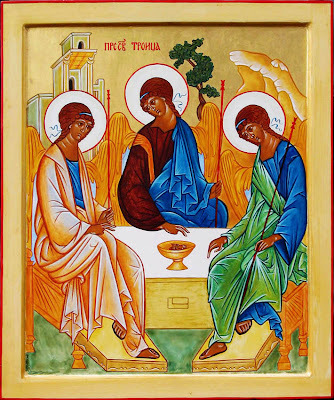 But our worship is not a human activity directed towards a God ‘out there’ – it is our entry into the περιχώρησις (perichoresis) of the Trinity, the dance of the Trinity. Why did it take so long? And why, when we Anglicans were working out our mission statement over quarter of a century ago in 1984 did we just stop at four? Why did it take six more years and two more meetings of the ACC before Anglicans realised we all share the responsibility ‘to strive to safeguard the integrity of creation and sustain and renew the life of the earth’? (Revd Canon Professor) Patrick Comerford is Lecturer in Anglicanism, Liturgy and Church History, the Church of Ireland Theological Institute. This lecture on 20 October 2016 was part of the MTh module TH 8824: Liturgy, Worship and Spirituality with full-time MTh students, Year II.